Professor Nizam Mamode trained in Glasgow before moving to London in 2002. He also spent a short period at David Sutherland’s unit in Minnesota. He retains strong links with this unit. He introduced laparoscopic donor nephrectomy and antibody incompatible transplantation into the unit, which now has the largest experience of both in the UK. 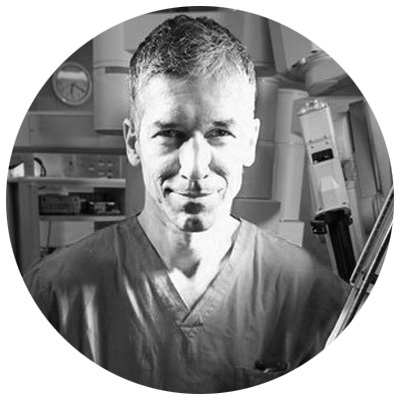 He has a large experience of transplanting complex patients and small children. The British Transplantation Chapter of Transplant Surgeons conforms and works within the framework of society rules. Providing a professional voice for Transplant Surgeons working in all areas of organ transplantation. Considering current surgical issues in organ donation and transplant to assist the Society in having an agreed position in these areas. Provide a professional “voice” for transplant surgeons within the United Kingdom and identify areas which impact on the unique way surgeons in transplantation work. The committee will consist of up to 8 members. The CoTS executive will consist of a Chairman and Secretary. Councillors representing Organ Retrieval Surgery, Kidney Transplant, Pancreas Transplant and Liver Transplant will be co-opted/ elected by the BTS executive. The Herrick Society president will be co-opted onto the committee to provide trainee representation. The Chair of CoTS will sit on the BTS council and be recommended to the General Surgery SAC. Members will be required to complete an annual Declaration of Interests. The committee will meet at least twice a year and report on its activities to the Executive and Council of the BTS through the Chair and Councillors representing Transplant Surgery. The quorate number for meetings will be 3 people to include one Executive plus at least 2 others. At present the CoTS are helping develop a specific Transplant Surgery training curriculum with other agencies. Units with job opportunities for trainees and consultants/ SAS’s are invited to submit adverts for jobs. These will be advertised for a limited period of time. The CoTS aspires to provide an informal peer mentor scheme to allow Transplant Surgeons with concerns or difficulties to informally contact another professional member. The Committee are available to be contacted in this regard.